When I was in high school I built an AM Broadcast band transmitter from a kit. It had one tube and a very short range since it operated under FCC Part 15 (Wiki) rules. While looking for a similar device I came across the Ramsey AM25 kit and information on how to extend it's range a little. 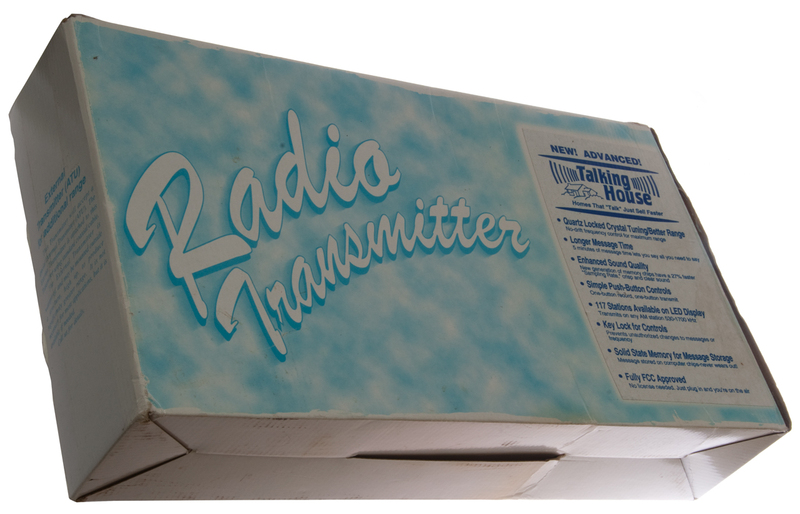 But for much less money you can get a used Talking House AM transmitter that appears to be a synthesized AM Broadcast Band (Wiki) transmitter with built-in digital memory for the outgoing message as well as provision for "live" am broadcasting from an external microphone or other audio source. These are placed inside a house for sale with a sign at the curb announcing the AM radio frequency to tune in order to hear a 5 minute sales pitch. I expect they are sold to the homeowner at full list price then end up on eBay at a steep discount. Allows for unlicensed transmitter operation with two types of rules. Specified output power and antenna length or specified field strength. (FCC.pdf) For the AM broadcast band 525 - 1705 kHz 100 mW and 3 meters. 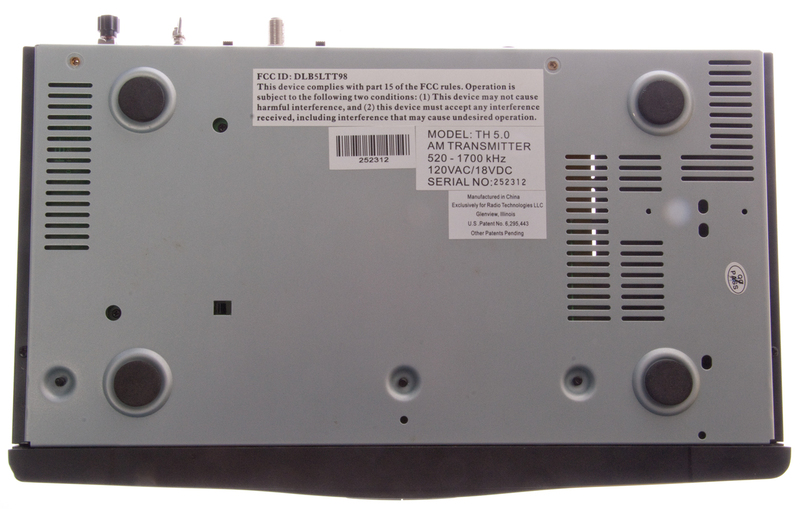 For the FM broadcast band (88 - 108 MHz) limited to 250 uV/meter at 3 meters from the antenna. Common uses of Part 15 transmitters (Wiki) includes Talking House transmitters. Plug: standard 5.5 mm DC plug. Maybe Jameco: 2225967 15V, 40 Watt (A better choice would be Jameco p/n: 2225975 18V, 40 Watts. The supplied adapter looks like the old fashioned transformer type. 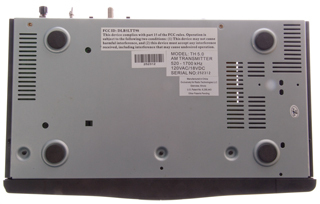 The Jameco is modern world AC switching type (lighter and smaller). Open space terminal on one end. The main problem for me is that as I drive out the driveway when the car is at the street there are overhead power lines and the noise is so strong it blocks the signal. Maybe there's a problem with the transformer near my house? Fig 3 Powered up at 1370 kHz with a message. 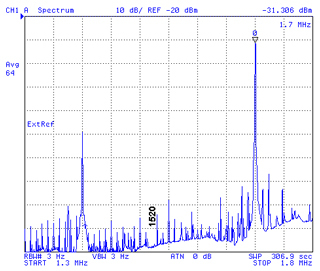 Fig 6 Spectrum Plot at 1700 kHz. 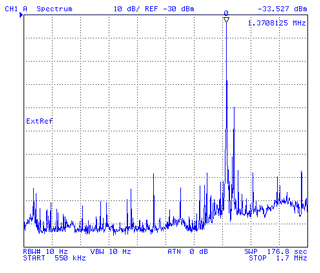 1520 kHz is the only open frequency. This plot takes about 5-1/2 hours. Based on the FCC AM broadcast 100 mW & 3 meter antenna rule. Aimed at selling houses. Uses an indoor cassette tape recorder and simple single frequency transistor AM transmitter built into the sign(s). 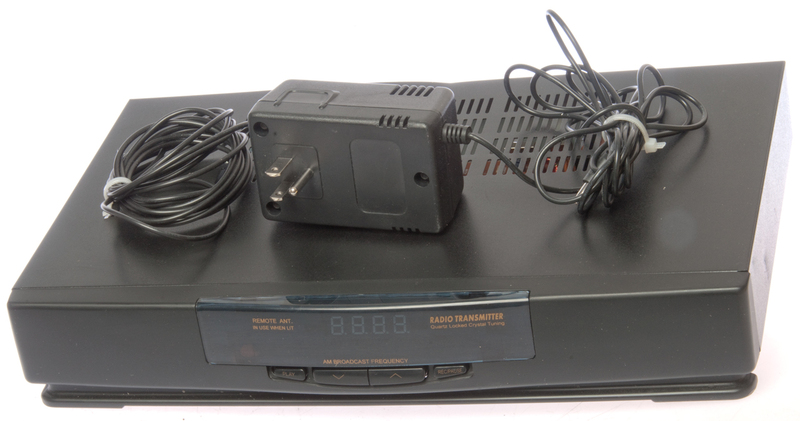 Similar to 4541119 except has digitral readout of Tx frequency and a manual antenna tuner. 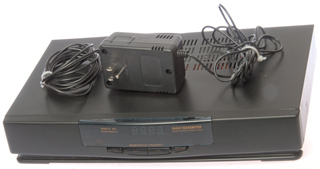 Similar to above except uses microprocessor, and motor driven antenna tuner.